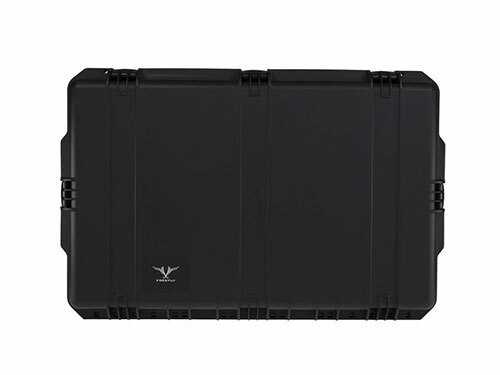 The ‘M15 Cinema Edition’ includes the MoVI M15, the M15 Hard Case and the M15 Cinema Kit. It is an unbeatable, never before seen deal for Pros who are in the market for an M15. 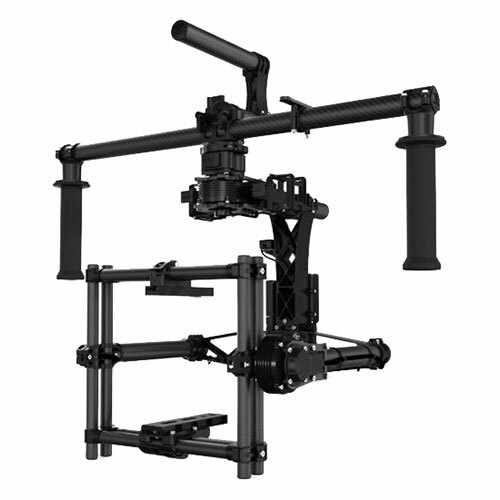 MōVI M15 - Digital 3-Axis Gyro-Stabilized Handheld Camera Stabilizer. The MōVI M15 was designed for the most demanding cinema packages out there with no compromises made. Working with industry professionals, we created a system ready to work with large pro cameras like the Sony F55 and ARRI Alexa M.
Professional Cinema Payloads. From Alexa M to Sony F55 with Cinema lenses, the MōVI M15 allows you to run with your preferred setup. If your arms can handle the load, so can the M15. Ultra Lightweight Construction. The M15 is built as light as possible maintaining structural rigidity and robustness, because if you are carrying a 15 pound payload in front of you, the last thing you want is to add a lot more weight. Full Camera Cage. Built to handle the most demanding cinema packages and keep the camera locked on target. Dual Pan tubes. M15 allows for a full 15lbs mounted high or low mode. The tool less quick release pan axis is made for extreme payloads. Quick Release Top Handle. With the flip of a lever you can switch the hand grips from low to high mode. This allows the operator to quickly fine tune how the gimbal is operated and ensure the shot is exactly what was intended. Dual Operator Mode. Realize the added control with the ability of operating remotely with a second person. This allows one operator to concentrate on framing and the other on maneuvering, allowing for unrestricted and incredible camera moves. Majestic Mode Single operators can intuitively control the direction of the gimbal using the MōVI’s handles without sacrificing stability. Operators can customize their settings using the Freefly Configurator to get the feel just right for different scenarios they encounter. Freefly Configurator. The Freefly Configurator is a GUI that gives you control of your MōVI via a tablet, Windows or Mac OSX device. The updatable firmware features auto tuning, motion booting, wireless tuning and graphing via Bluetooth and has advanced customization including a user-adjustable shaky cam mode. Camera Support. The MōVI M15 allows you to run with your preferred setup - from Alexa M to Sony F55 with Cinema lenses. The accessory most desired by Cinema Pros is the MōVI Controller – to control and frame the shots remotely from the MōVI by a second operator. Of course these customers tend to use the most advanced larger cinema gear like ARRI, RED and others, so the ‘Cinema Kit’ includes the MōVI Controller, Ninja Star plate, Male Toad Adapter, and M15 Spare Parts kit, to make sure you are ready for any setup. The MōVI Controller is a professional grade remote system that allows the operator full control over Pan, Tilt, and Roll. 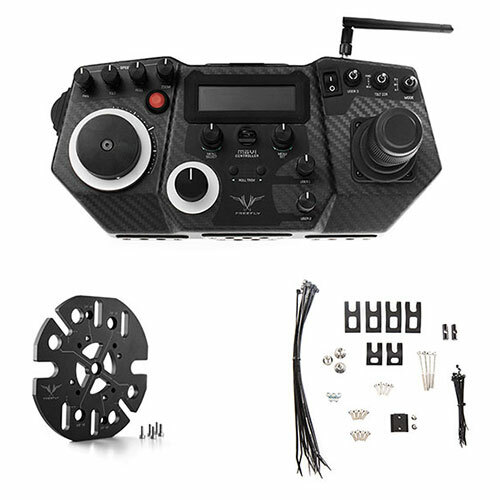 Compatible with the MōVI M5, M10, and M15, this controller provides telemetry from the MōVI and allows the user to access MōVI configuration menus to enable on the fly adjustment of key MōVI parameters. The MōVI Controller also simplifies the remote control station by providing power for an LCD monitor and wireless video system. One single battery on the MōVI Controller will power your controller, Monitor, wireless video system, and additional 5 or 12v accessories. Additionally the MōVI Controller will offer control of Focus, Iris, and Zoom motors in the future with the release of Freefly’s 3 channel FIZ system. Please note that firmware version 3.08 is required for the MōVI Controller. The latest firmware is available on the Freefly site. Includes: MōVI Controller, MōVI Controller Receiver, USB A-A Cable, AC Adapter, Focus Knob Label Ring, Neck Strap, Spare Receiver Mounting Tape, Controller Aux Power Cable, MōVI Controller Receiver Cable for M10, MōVI Controller Receiver Cable for M5/M15, IDX P-VS2 V-Mount Battery Plate with Power Cable, Monitor Mount, Tripod Mount, Foam designed for Pelican 1500 cases. 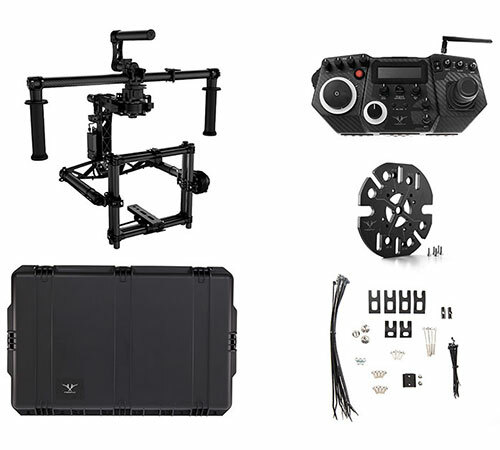 This kit is designed to provide an assortment of items that are useful for maintaining your MōVI M15 in the field. Qty 1 - Bolt 1/4-20 x 1/2"
Qty 1 - Bolt 1/4-20 x 3/8"